Growing plants indoors under grow lights is very different to outdoor growing. Pay particular attention to the lamp size and type, plant height and density, and the distance between the lamp and foliage. • Clones /seedlings: 5,000–7,000 lux. Use fluorescent. • Vegetative growth: 15,000–50,000 lux. Use MH lamp. • Flowering: 45,000–70,000 lux. Use HPS lamp. *PAR meters are more accurate and can also be used to test LED lights, however they are very expensive. Can be caused by foliage being too far from the lamp i.e. lamp is too high, or plants are too tall, or area of coverage is inadequate (see below). May also be due to shading from over-planting, inadequate plant shaping/ training, incorrect lamp size/type, or due to a faulty lamp or incompatible ballast. Insufficient light will produce sparse foliage, spindly branches and poor flowering. Can be caused by the lamp being too close to foliage or incorrect lamp size. Symptoms will be evident on upper most foliage and may include stunted growth, and folding, bleaching or burning of leaves. The lamps wattage will largely determine the size of the ‘effective’ growing area – see Fig 3.3 and Table 3, “Area of coverage”. 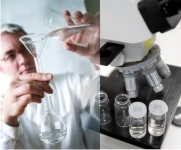 However, to unleash the lamp’s full potential, it is critical to also choose a lamp shade that provides maximum reflection efficiency and focuses the light evenly (without hot spots) and with the correct amount of spread i.e. not too wide or narrow. The use of reflective material on walls and other large surfaces helps ensure that light is not wasted through absorption. Light intensity diminishes rapidly as distance from the lamp increases. Therefore, along with choosing the correct wattage, it is important to ensure the majority of foliage is positioned within lamp’s “sweet-zone”. This is best achieved by training plants into a low, wide and flat canopy (Fig 3.2) – see section on Topping and LST (Fig 8.1). 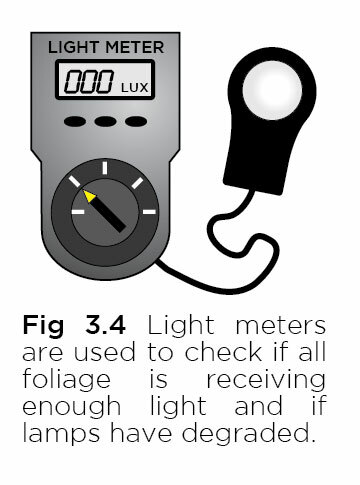 To best utilize lamp output, position the lamp as close as possible to the top of plants without causing photo-respiration or burning of foliage (see Table 3 for “minimum gap” guidelines). Air cooled lights should be used because they enable lamps to be positioned closer to the foliage. 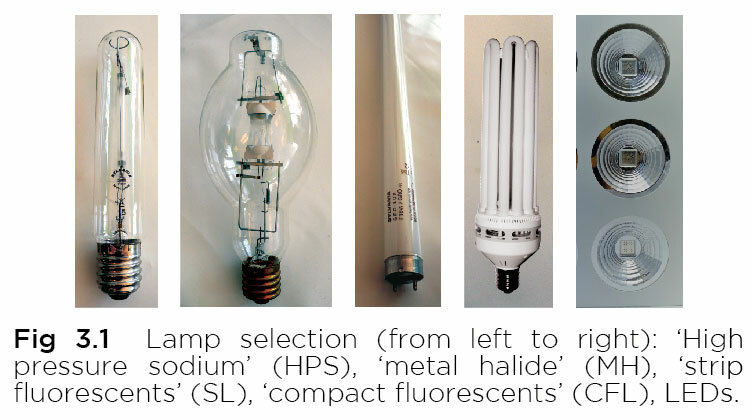 These are particularly beneficial for 1,000W lamps (Fig 7.2). Ensure lamps are hung so that their height can be easily adjusted as the plants grow. Shading becomes an issue when plants are positioned too close to one another. It is generally more productive to plant fewer plants, rather than more. For more see page 19 of the FloraMax Hydroponics Manual.